2018 Macbook Air 13"2017/2015 Macbook Air 13"2018 Macbook Pro 13"2017 Macbook Pro 13"2016 Macbook Pro 13"2015 Macbook Pro 13"2018 Macbook Pro 15"2017 Macbook Pro 15"2016 Macbook Pro 15"2015 Macbook Pro 15"New Macbook 12"Macbook Air 11"
2016 Macbook Pro 13"2016 Macbook Pro 13"
This Macbook leather sleeve was designed based on the Macbook Leather Sleeve with Front Pockets and with some modifications from our lovely customers. Now, you can easily put your mouse and power adapter with an expanding front pocket for this style. 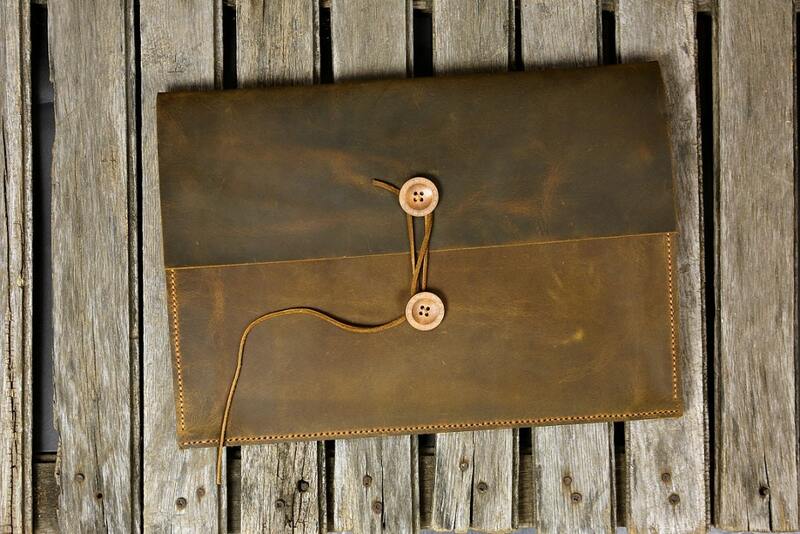 The natural look of cow leather always offers a classic, professional style that is sure to impress. 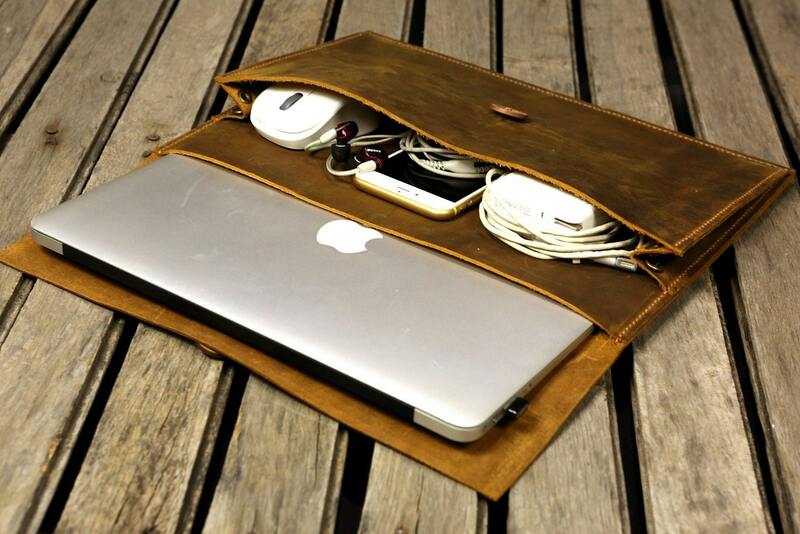 Includes a leather strap to help secure your MacBook laptop. My item exceeded my expectation. My Macbook Air fit very snug. It probably won’t fit if I have a cover on it. The leather has good thickness and it is of good quality. Communication was instant. Even though there is a time zone difference, they responded around 6 hours or less. I had mines customized by sending my own logo as a .png transparent file. They suggested to make the front pocket bigger because I wanted to place my iPad in the front pocket. It worked out nicely. Awesome craftsmanship and my custom logo looks perfect! Very impressed!!! Durable. Classic. Well made. Shipped within a week and a half. The shop was very responsive and quick to send out. I love this case! Could use more room to store things but the look is beautiful and the leather is extremely high-quality. I was very happy with my purchase. The leather on this piece is very very good! Hand stiching is beautiful. It fits my iPad Pro and accessories well. I would definitely purchase here again.